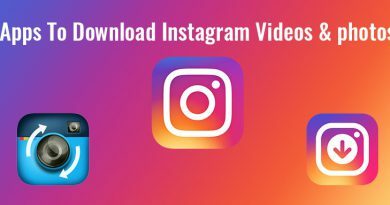 Have you ever wondered, whenever you pass by somewhere you listen to a music or song, Or if sometimes you might have listened to ringtone nearby, So you feel like this tune or song is awesome, Hence even you want to download the song and listen to it. But how You can’t memorize the song, or if it is only music, how you will search in Google. If you know the lyrics of the song you simply type in Google and search for, but these are done in olden days. 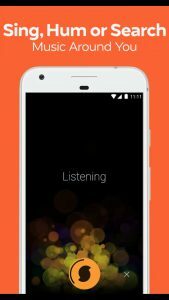 So in this era to make your effort easier there are some android apps, which are used to recognize the song or Music within just 5 seconds. So what are the Song Recognizer apps?. 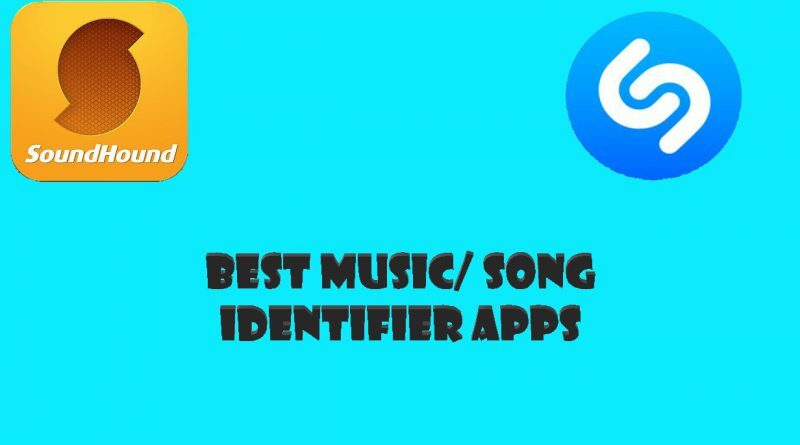 Here I go I will explain you the best song Recognizing apps which are currently trending and best on the internet. 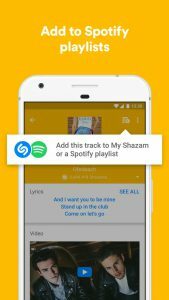 Shazam is best ever app I personally use, and there are millions of downloads in the play store. So Shazam app is very fast and quickly recognizes the song or music which plays in front of it. 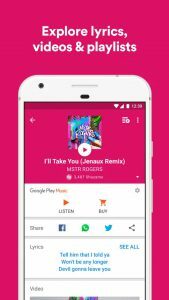 Not only this after listening to the music instantly it captures the music and says which song is that also it shows the video clips, MP3 songs, Related Tracks and song lyrics results for that particular tune. And then you can listen to song in the Shazam itself or you can Download the song from the internet. Even there is a reality show called “Beat the Shazam”. 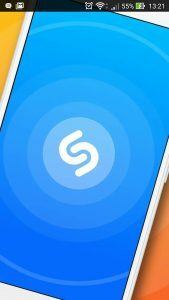 Shazam has an auto listen feature that it can identify the songs playing around even if the Shazam app is not open. It has an iconic blue button to tap and it starts listening to the song. 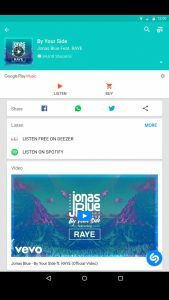 Even you can create a Playlists of the songs and also you can share it with your friends using social media like whatsapp, facebook, google + etc. And one more unique feature in this shazam app is it works in offline as well, but only if the songs is in its database, it means whenever you make it hear the songs when its online, it saves that music in it and next time when you make it to hear the same song when its offline it shows the same result. Also Read: Best Slow motion Video app for android. 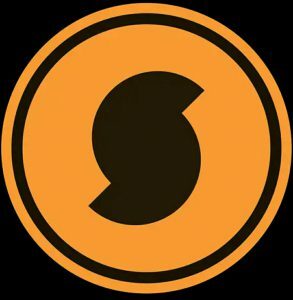 Soundhound is considered as the one of the biggest Competitor to the Shazam App, It is almost similar to the Shazam app, But this one bundled with more extra and exciting features, SoundHound has a big orange button for music tagging, and also it supports voice control commands. 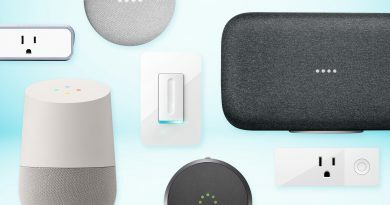 So what is this new feature Voice control Command? Similarly When you say” Ok Hound” , the Sound Hound app activates and helps you to tag a music, or find the artists names without typing in the phone just by voice commands, and it is more useful than Google now. 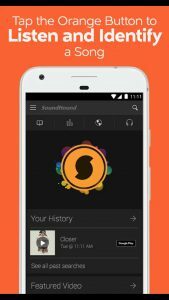 SoundHound comes with its own Music Player, where you create playlists, save and tag the music and also you can purchase a song add it your playlists and many more. 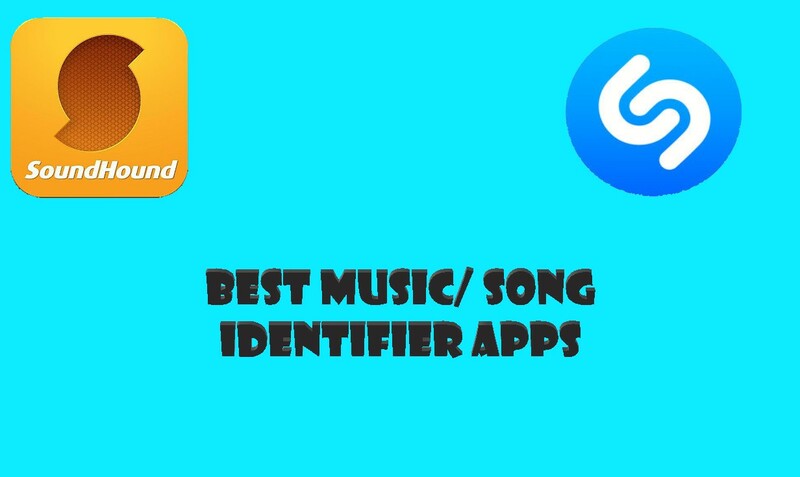 And the Best feature in this app is You can Sing a song or Hum a music whichever comes to your mind and then SoundHound will try to Identify it. 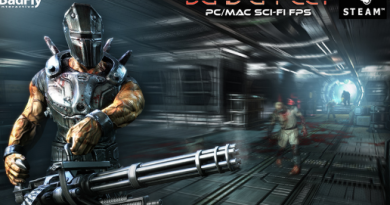 And this feature is not there for Shazam or other apps. This feature will be even easier to find out more music. Both the apps are awesome in terms of their performance, I personally recommend to download the Shazam app, if you want to get instantaneous results, Since Shazam App is fast compared to the SoundHound App. But Sound Hound has more extra features as well, it means that both apps are good at their own ways. If you guys know any other best app. Comment down below.